Sorting plants today are the interface between consumers and recycling plants. The lightweight packaging from bags, bins and containers arrive in mixed form and, after careful sorting into the individual fractions, leave as “monofraction” bales of tinplate, aluminium, composites and plastics. In several consecutive steps, the packaging fraction is sorted and pressed into bales in the sorting facility. The mechanical devices are already in use for this purpose today. In the beginning, bags are opened to release the contents. 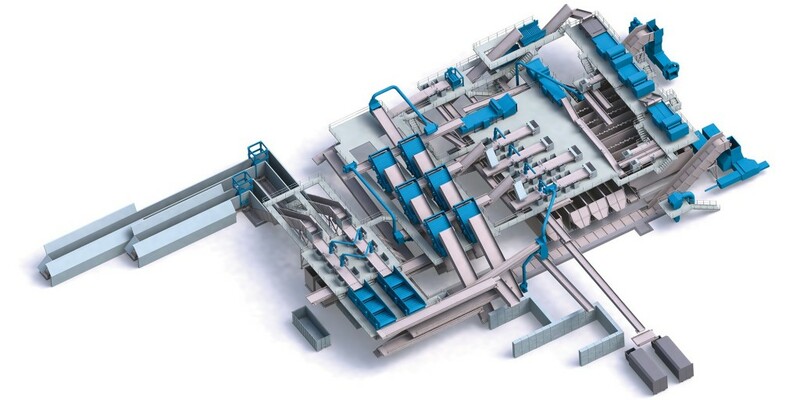 Trommels separate the packaging stream into differentiated streams by size of packaging. Complex hi-tech technologies such as the sensor eye or variable air pressure jet are used to ulterior separation of packaging material into PET, PP, PVC, PS etc. Accordance to your production requirements is our goal number one. 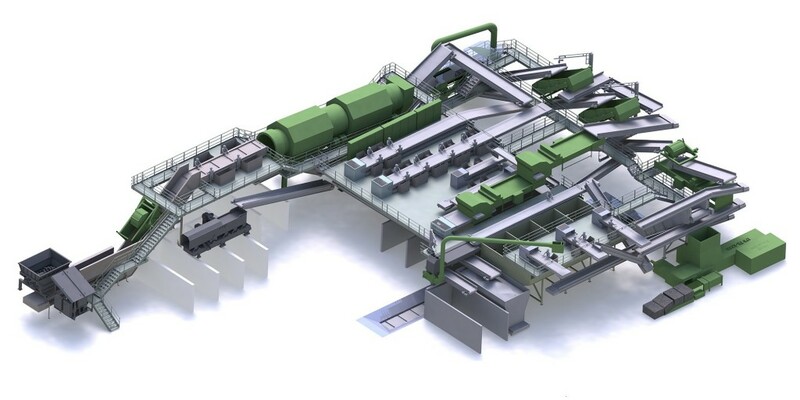 Destinated for any of following: boiler fuel supplement, rubberised asphalt, depolymerisation, devulcanisation, cryogenic or pyrolysis tyre recycling, a variety of shredders are available to meet your shredding requirements. We offer installation design assistance and conceptual studies as well as special product customization for tough-to-solve applications from design to startup.